Size of this PNG preview of this SVG file: 800 × 400 படப்புள்ளிகள். மற்ற பிரிதிறன்கள்: 320 × 160 படப்புள்ளிகள் | 640 × 320 படப்புள்ளிகள் | 1,024 × 512 படப்புள்ளிகள் | 1,280 × 640 படப்புள்ளிகள் | 1,200 × 600 படப்புள்ளிகள் . 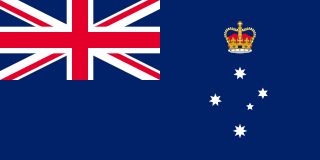 English: State flag and government ensign (internal waters only) of Victoria. 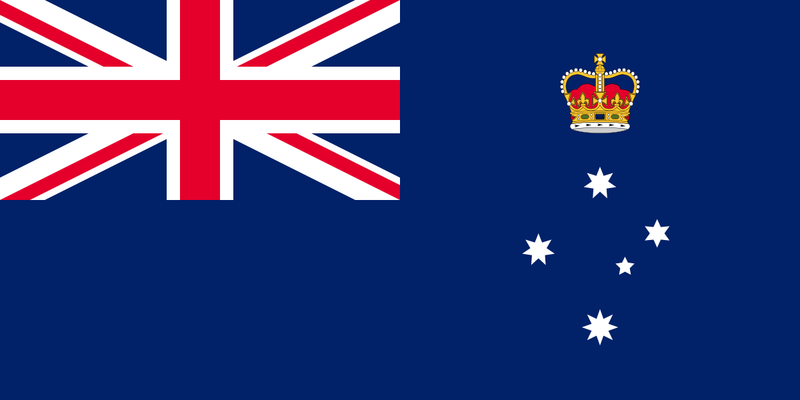 09:11, 24 பெப்ரவரி 2016 1,500 × 750 (135 KB) Zscout370 Overhaul based on "State of Victoria Flag Code" (1961, Premier Dept.) Scans available on request. 07:29, 6 பெப்ரவரி 2014 1,500 × 750 (69 KB) Wereldburger758 Corrected error in code. Valid SVG now. 08:47, 17 பெப்ரவரி 2006 1,500 × 750 (69 KB) Greentubing~commonswiki Corrected stars. Colours: Using Coreldraw X3's Pantone approximations in sRGB (deliberately not Photoshop): *In the canton, Red (185C) (#E60D2E)—NOT 186C, since 185C is the red specified by the Australian Government *Blue (280C) (#00247D).